Healthcare often goes through phases where certain buzzwords will take a dominant place in the minds of marketers and consumers looking for the next big thing to change someone’s life. That’s how the ideas behind terms like ‘wellness’, ‘detox’, ‘gluten-free’, and ‘keto’ get taken and raised like a banner that will change the face of healthcare. 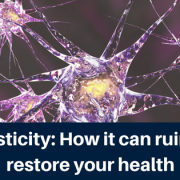 An interesting one that I’m seeing catch some steam in recent years is a term that chiropractors and neuroscientists have been using for decades called ‘neuroplasticity’. I remember hearing and reading about the concept of plasticity about 15 years ago as an undergraduate student going through neurobiology courses. It describes the concept that the brain uses to strengthen the neural connections that it uses often and to weaken the connections that it doesn’t use, in order to adapt itself to the environment. The concept is really profound in people that have experienced strokes. Strokes cause brain cells to die which means those brain cells are not likely to ever grow back. 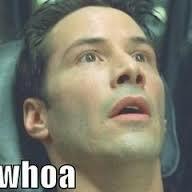 So if the part of the brain that helps to move your leg suffers a stroke, then you may see that person develop a limp. If the brain was hardwired and you lost the “leg” portion of the brain, then the function of that leg would stay permanently impaired for life. However, that’s not really what we see in real life. Often times, an area of the brain that is affected by stroke may die and become damaged, but the brain can re-organize itself and use other parts of the brain to help regain some of the function in that leg. This is some of the rationale behind the improvements in rehabilitation seen in patients stroke patients undergoing occupational therapy, physical therapy, and chiropractic. This idea is called plasticity, because it implies that the brain is NOT rigid and hardwired like we once thought, but it is softer and can be re-modeled to fit the needs of that person. The book details some amazing feats of healing and adaptability displayed by the human brain. A patient with damage to the balance organs in her ears and felt like she was perpetually falling was taught how to regain her balance by using a tongue sensor. It also shares the story of a woman who was born with just one-half of a brain who has grown to be normal in almost every way. The stories are powerful and moving. They really make you feel like your brain is really capable of almost anything. From that idea, great ideas have been developed to rehabilitate people with brain injuries and phantom limb pain, and even to teach the blind to see with their tongues. 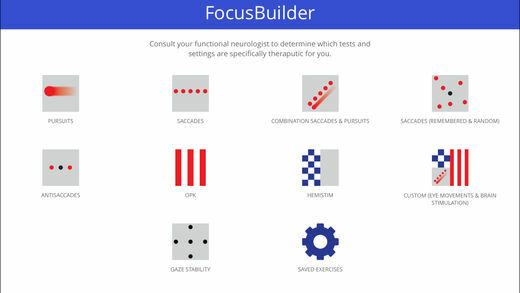 It has also left the field littered with loads of products and services who have hijacked the term to describe brain training tools that allegedly prevent Alzheimer’s or improve memory. It’s also come into the realm of many self-help gurus who distort the science and terminology of plasticity as a way to manipulate sales for their books and consulting services. While plasticity is a real phenomenon and has some very strong real world applications, we have to guard ourselves from promoting false claims and false hope. Neuroplasticity is not a hippie woo term that requires a special chant or mindset in order to derive the benefits. It doesn’t require a self-help book, special chants, or a special exercise to make things work. Plasticity in its simplest form is the idea that the neural pathways that fire together repeatedly get stronger, and neural pathways that don’t get used start to fade. To throw a cliche out there, plasticity is about practice making perfect, or more realistically practice making permanent. The more that your body uses a neural pathway the better it becomes at doing that task. That’s how a novice guitar player can fumble around miserably when first learning an instrument despite intense concentration can start to play almost effortlessly with a couple of months of daily practice with good coaching/direction. The muscles of the fingers didn’t change much in any meaningful way, but brain that that was coordinating the movement of those fingers are finely tuned to the timing and precision required of those movements. It also means that if that same novice guitar player developed bad habits while learning the guitar, that those habits will persist even as they are able to play more songs and riffs. The more that he practices poor technique and sloppy finger movements, the more his brain will use those same techniques because he is getting better at doing something poorly. When you get injured, your body produces pain as a response to injury. Pain serves as an alarm system to slow you down and prevent further injury. That’s why you move a little slower, limp, or walk awkwardly when you throw your back out. After an injury has healed, some patients have developed plasticity in the neural pathways that were triggering pain. This process of sensitization of the peripheral and central nervous system can cause these patients to feel pain even after the injury has healed. Even worse is when this causes plasticity in the pathways that hold your spinal muscles in a certain way that reflects your pain and makes certain movements more painful. 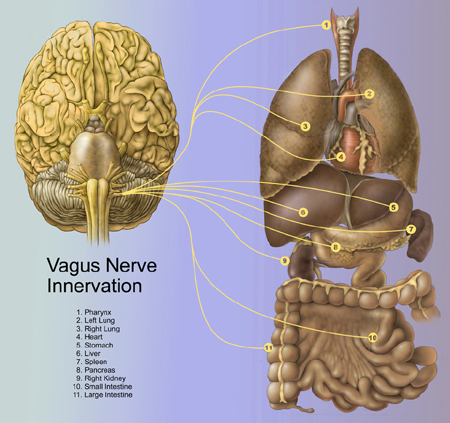 This same property of the nervous system can be used to help you recover and heal as well. By understanding which parts of the brain are functioning poorly or damaged, a guided program of treatment can be developed to help the brain recover or compensate appropriately. So we take that same patient who has developed plasticity in pathways to create chronic pain, then other pathways can develop plasticity to beat the pain. 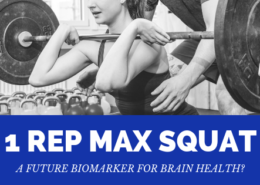 This is one of the emerging concepts in chiropractic research that suggests that adjustments create plastic changes in the brain that may help change muscular activity or abolish the pain response. When done in combination with a well crafted and designed exercise and rehabilitation program, the tools available to create plasticity in the brain is only limited by the ingenuity and creativity of the doctor, and the determination of the patient to execute their plan of care. But this isn’t just exclusive to pain. These plastic changes may help you use your muscles a little bit more efficiently for your next big lift. It may help your brain organize itself to find better balance. It may also create changes in the systems of your brain that regulate heart rate and blood pressure too! 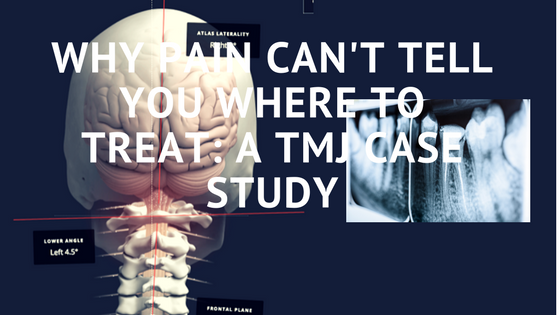 Jaw pain/TMJD is a very frequent problem we see in the office. It’s so frequent that I spend one day each week inside of a dental office in West Palm Beach doing consultations with a great local area dentist that specializes in pain syndromes of the jaw. Most of the patients that see us with jaw pain have already seen a variety of jaw specialists. They’ve had MRI’s done, mouth pieces made, and various therapies done on the area of pain. The problem of course is that pain, especially chronic pain, does a poor job of telling us what is wrong with you. Chronic pain is complex. Chronic pain is misleading. Chronic pain is also a poor locator for pathology. One of the common questions asked during a case history is to highlight or point to the area where you feel pain. It can be useful sometimes when pain patterns are reflecting specific nerve roots, and it also gives a general vicinity for a doctor to examine more closely. For most cases of chronic pain, examining the area of injury often leads to dead ends. There’s no damaged tissue to treat or remove that’s likely to explain why someone hurts. 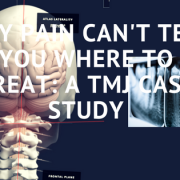 Patients with TMJ pain frequently seek the treatment of these specialized dentists, and most of them do really well when in the right hands. However, sometimes jaw pain isn’t truly a problem in the jaw. Sometimes it’s a pain problem somewhere else in the body. I recently took care of a patients who were was referred by another chiropractor. The patient had been to 6 different jaw and mouth specialists but could not get any form of relief from treating the jaw. When we examined the patient, we didn’t pay much attention to the jaw itself. The patient already had imaging and tests done to their mouth already, so I wanted to spend my time elsewhere. We found that the patient had poor motion in their shoulder and neck area on the right side. They were also showing a large amount of forward head posture characteristic of anterior head syndrome. Surprisingly, the patient’s jaw seemed to move pretty well. There wasn’t the clunky abnormal opening and closing of the jaw that you would usually see in a TMJ where the jaw displays a large side to side movement. From my view, the patient’s jaw movement looked really great, but the patient’s neck was moving poorly. We did our normal protocols with this patient. 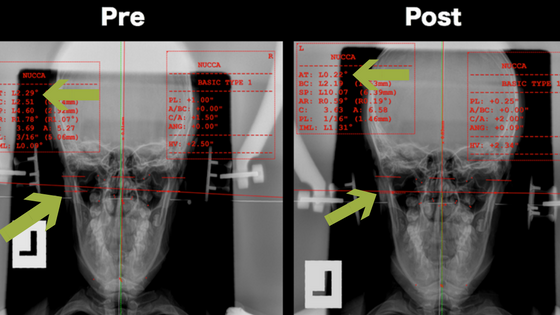 We did a gentle NUCCA correction to the patient’s neck. We post-x-rayed the neck to verify a neck improvement, and then we waited. You can see the x-ray results below. Pre and Post X-ray shows a small shift, but an almost perfect correction. 3 days after her first appointment, we had our first follow-up appointment scheduled. The patient had gone 3 consecutive days without any jaw pain at all for the first time in 2 years! Pretty good, but would it last? 3 months later, we re-examined the patient. The patient was now going 1 month between appointments because it would be important to see if the patient could go that long a distance between appointments without pain. The jaw was still moving normally, but now their head and neck could move in all ranges of motion smoothly. The patient also stopped showing a persistent right tilt of their head. Most importantly, the patient could now talk with no restrictions, and had no more food limitations on what she could eat. For all intents and purposes, she became a normal teenager again. Now if we had kept on trying to treat the jaw and identify pathology in the jaw, would she still have gotten better? It’s hard to say, but after 2 years of doing every jaw therapy under the sun, it just seemed to make sense to look at other pieces of anatomy. The complexity of chronic pain often means that we can’t look at things linearly. We have to know that someone has pain in one region, but we also have to think about all the different anatomy that shares a connection with the part of the body that hurts. This doesn’t mean that every person with chronic jaw pain will get better from a neck adjustment, because that’s not true either. It means that we have to take care of people and see them for what they are globally instead of treating them as an object with a specific piece of meat that hurts today. When working with a large number of patients with chronic pain and illness, you begin to notice patterns in relationship to certain illnesses. 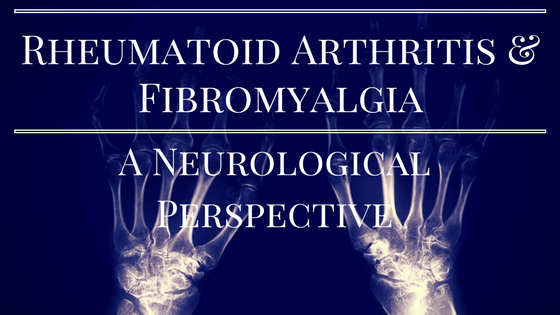 One of the more common trends I see today is the association between having an inflammatory illness like rheumatoid arthritis along with widespread body pain like fibromyalgia. 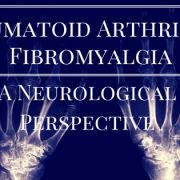 Rhumatoid arthritis and fibromyalgia share some commonalities in that they disproportionately affect women more than men, are associated with flare ups of increased pain intensity, and are chronic illnesses with no cure. Although they are separate and distinct health issues, it seems that if you have an inflammatory illness like rhematoid arthritis, 10-15% of these patients are likely to report the widespread body pain of fibromyalgia. Let’s see if we can break this phenomenon down. Rheumatoid arthritis falls into a class of inflammatory disorders where flare ups of inflammation can create damage to joints throughout the body. The pain from these flare ups can be debilitating, and the damage done to the joints can be quite severe when left untreated. The damage to these joints is caused by an autoimmune reaction. Autoimmune disease is a condition where the body’s own defenses inadvertently create harm to the body itself. In the case of rheumatoid arthritis antibodies can build up in the joint spaces and cause other immune cells to create an inflammatory reaction in the area. This is where people can feel the heat, swelling, and pain that is known to occur in flare ups. Patients with rheumatoid arthritis tend to have arthritic flare ups affect joints like the hands, toes, and neck. However, they are also more prone to wide spread pain in other regions not associated with arthritic breakdown. Why would pain exist in an area that is not associated with inflammation and destruction of the joint? Pain is an extremely complex phenomenon. We generally think of pain having a direct relationship to tissue damage. When we get a cut, sprain an ankle, or break a bone we expect that pain will occur because of the injury. Therefore it’s not surprising that the pain and destruction from a rheumatoid arthritis attack to be very painful. However, we also know that pain can occur long after an injury has healed, and even in the absence of injury whatsoever. This is what happens in patients with the widespread pain of fibromyalgia. People with fibromyalgia often have nothing to point to as a cause of their pain. It’s an enigma that makes chronic pain syndromes so frustrating because they have no test or image to prove why they feel so poorly. Many suspect that this widespread body pain may be from dysfunction at the level of the central nervous system. In normal circumstances, the brain has a few ways of controlling how much pain it will feel. This ensures that our bodies don’t overreact to normal everyday stimuli and interpret as painful. 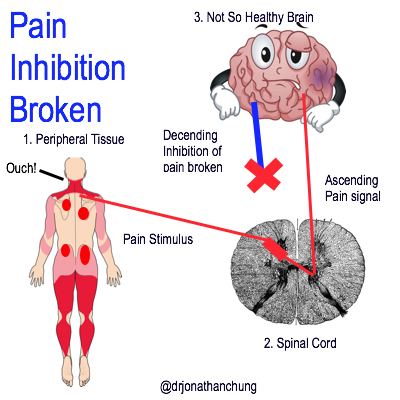 One mechanism is by pain inhibition. 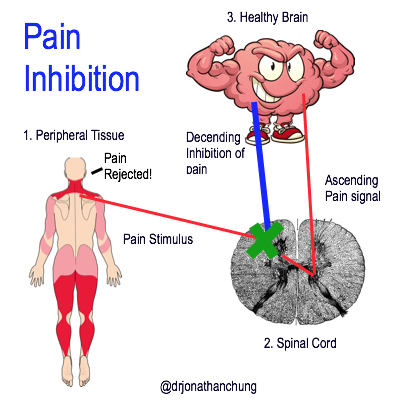 Pain inhibition involves the brain using it’s own pharmacy of pain killing chemicals to stop a pain signal from going up the spinal cord. Pain can be inhibited by chemical pathways inherent in the brain. Another way that the brain can modulate pain is through a concept known as the pain gate. The pain gate operates on the idea that pain has to hit a certain threshold for it to be consciously perceived in the brain. In this way, it allows the brain to ignore things that aren’t causing much damage or risk. In a perfect system, you would only feel pain when you have actually created injury or are under imminent threat of injury. However, this appears to be another mechanism that gets disrupted in chronic pain patients. When people have chronic pain, it probably means that the gate that is meant to block most of your pain is letting everything in. 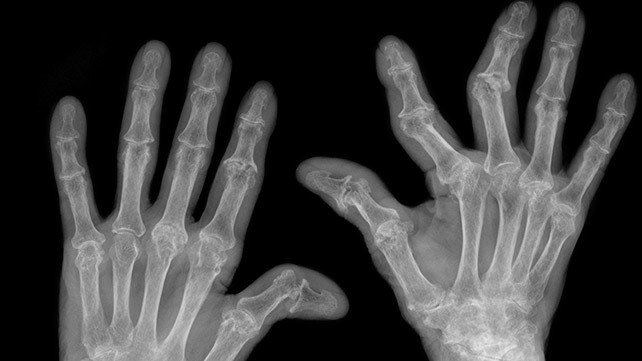 Does Rheumatoid Arthritis Break This System Down? The main treatment for inflammatory arthritis focuses on managing inflammation. Most patients with this type of arthritis will take a wide variety of anti-inflammatories that cover a wide spectrum. They include drugs that specifically target the inflammation associated with RA like Trexall, immune modifying biologics like Humira, and go all the way down to non-steroidal anti-inflammatories like ibuprofen. In many of these cases, the inflammatory pain of arthritis is under control by these drugs, yet the widespread body pain persists. We don’t really know how or why these inflammatory disorders can lead to pain sensitization, but studying other acute pain conditions may give us some clues. While inflammatory arthritis isn’t necessarily an injury in the classic terms, make no mistake that inflammation can create a significant amount of tissue damage when it goes unchecked. If the nervous system can be made more sensitive by persistent pain, can it work in the opposite direction? A lot of the research on pain has been focused on targeting these mechanisms which has lead to a higher usage of opioid medications. The obvious problem is that opioids are highly addictive and has become a major public health issue. There is a growing need for non-pharmacologic interventions to address these chronic pain issues, and fortunately there are some that can be really effective. In cases of chronic pain, the best approach is one that addresses a person from a mental and physical standpoint rather than chasing after a holy grail treatment. 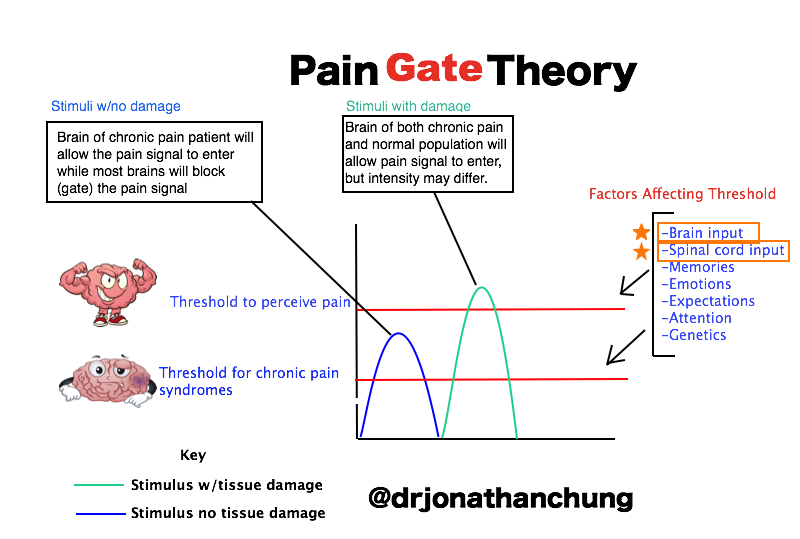 When you look at the pain gate theory image, you can see that the factors that impact your pain threshold include brain and spinal input which exercise and chiropractic adjustments can play a major role. Things like memories, emotions, expectations, and attention are all factors that can be changed with neuropsychological therapy. Out of that entire list, everything except your genes are modifiable factors. At the end of the day, there is no cures for rheumatoid arthritis or fibromyalgia yet. There may not be cures for years to come. However, many people with these illnesses can see their quality of life improve by addressing some of the neurological consequences of the disease. 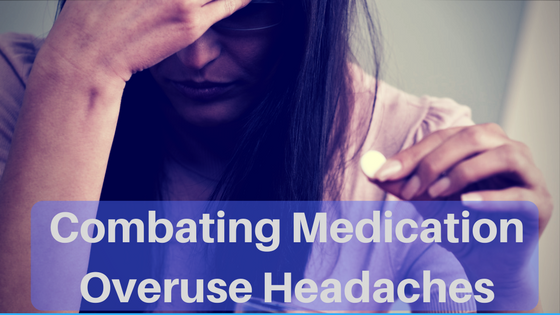 Medication overuse headache (MOH) is a very common manifestation of chronic headache patients. It is one of the unique instances where a once effective way of controlling an illness will actually perpetuate the illness further as the body adapts to a chemical intervention. This condition is unique to patients with chronic daily headache disorders and various chronic pain syndromes like fibromyalgia. The most frustrating part about MOH is that you may do better for a long period of time because of a medication, but as the effectiveness of the medication wanes over time you may actually experience the headache worse than before. It’s a situation that can cause despair as medications are generally the treatment of choice for all headache conditions. If your body has become resistant to all of the available medications, what can you do next? Why Is Your Medicine Making Your Head Hurt? People with chronic headaches will generally have 7-10 headache days per month. For better or for worse, there are a wide variety of medications that can help knock a headache out or prevent them from occurring. 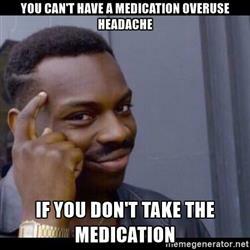 It’s not unusual for a chronic headache patient to have a cocktail of drugs that they have to take on a daily basis. The problem with a frequent medication regiment in chronic pain conditions is that the cells of your body almost always have an adaptation to to make itself more resistant to the medications’ effects. This can happen even if you’re taking your medications correctly as prescribed by your doctor. The headache that results from MOH is often called a rebound headache. As the effect of the medication wears off, the headache returns rapidly which can create a need for another dose of medication. In this way it becomes a cycle of struggle as the effects of the medication start to decline faster and the rebound headaches become more persistent. When this occurs, the chronic headache patient can become the chronic daily headache as the headaches will begin to occur greater than 15 days per month. 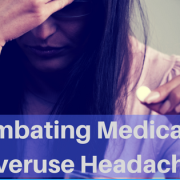 Because of the reliance on these medications, medication overuse headache has become the 3rd most common headache disorder, and the most common cause of migraine-like symptoms. Research has shown that this can occur regardless of the type of medication you take. It’smost frequently associated with prescription migraine medications, but it has been documented to occur in people taking over-the-counter drugs like ibuprofen. Hard pain meds like oxycontin may be used by headache patients without a doctor’s prescription, and these can tend to accelerate the process to MOH because of the way that opiods sensitize your brain. Research: Can Pain Pills Cause More Pain Over Time? The easy answer is to stop taking your medications for a while because…. If you don’t understand this meme, then ask someone who is younger than 30. I promise it’s funny. Unfortunately, biology isn’t that simple, especially if you have chronic pain. Are there side effects to stopping a daily medication? Will you experience worse pain when you stop taking the drugs? How will you cope with the pain if you can’t take any meds? How long will this take before you can make the meds work again? Chronic headache patients need effective non-pharmacological methods to deal with the pain of headache physiology. One specific target for drug-less treatment of headaches is by correcting dysfunctions in the neck. In many cases, headaches syndromes can be a result of a secondary effect of a shift in at the top of the neck. 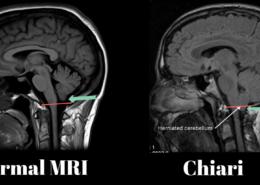 This is why chronic headache patients are some of my favorite people to see in practice because a gentle correction of the neck has allowed us to have a very high success rate with chronic headache syndromes. 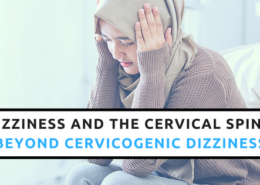 While addressing the cervical spine may not address the cause of a medication overuse headache, it may help fix the primary source of a patient’s headache condition so that taking the medication becomes less necessary. The most common comment I get from headache patients is when they tell me that they’re taking less ibuprofen since they started getting their neck better. 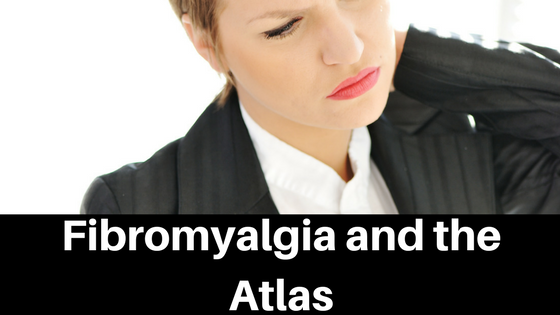 A shift in the atlas can disrupt fluid in the spine and cause neuroinflammation in the brain. In some cases, this may be tied to MS. Within 2 weeks of neck corrections with the NUCCA procedure, the vast majority of our headache patients experience relief in either the frequency or intensity of their daily headaches. A lot of people are scared about having their neck worked on by a chiropractor. The general portrayal of a neck adjustment by viral Youtube videos can make it seem scary. 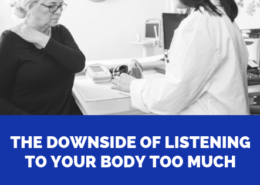 While chiropractic adjustments have a tremendous track record for safety, the bottom line is that a lot of people just don’t want their neck cracked because the sound and the motion make them really uneasy. This leads to patients tightening up their neck and bracing which can make a neck manipulation hurt in the hands of a chiropractor that is not skilled. That’s one of the big reasons why I’ve used the NUCCA procedure throughout my career. The NUCCA procedure involves a very light pressure to correct the neck as opposed to a high velocity manipulation. By using the NUCCA procedure, the doctor is able to measure and control how much force goes into the neck, and if we have corrected the underlying dysfunction. All of this happens without the popping, twisting, or cracking of the spine. Not all patients with headaches are good candidates for the NUCCA procedure. Only patients with a subtle shift in the top vertebra called the Atlas will benefit from the NUCCA correction. A thorough history and examination will help us determine if the Atlas is causing a problem and if it’s something that can be fixed. 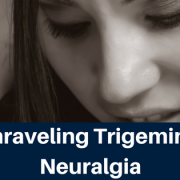 ​Most of you have probably never heard of trigeminal neuralgia (TN). It’s a pretty rare disorder that affects about 4-5 people per 100,000. If you or someone you love has ever had it, then you know that this illness can be associated with the worst pain that a human being can experience. The constant and persistant pain is so debilitating that TN has been called “suicide disease” because an estimated 25% of sufferers will take their own life. ​Today we are going to breakdown the anatomy of this devastating disorder, and how we can help. The three main branches of the trigeminal nerve are the opthalmic branch (v1), maxillary branch (v2), and the mandibular branch (v3). 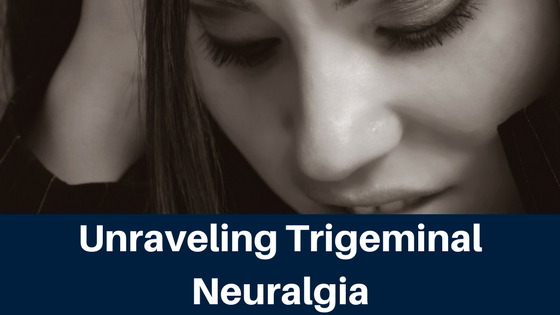 ​While trigeminal neuralgia is a very specific illness with a set diagnostic criteria, the cells that form the trigeminal nerve have been implicated in pain issues that include migraine headache and jaw pain (TMD). This is because there is a bundle of cells in your spinal cord that act as a relay station for all pain perception in the head and neck called the trigeminal cervical nucleus. In the most simple terms, if you were to go to a dentist and had your gums poked, it would fire a receptor called a nociceptor. This nociceptor travels through the trigeminal nerve, into the spinal cord, and up into the brain where it perceives that signal as pain. 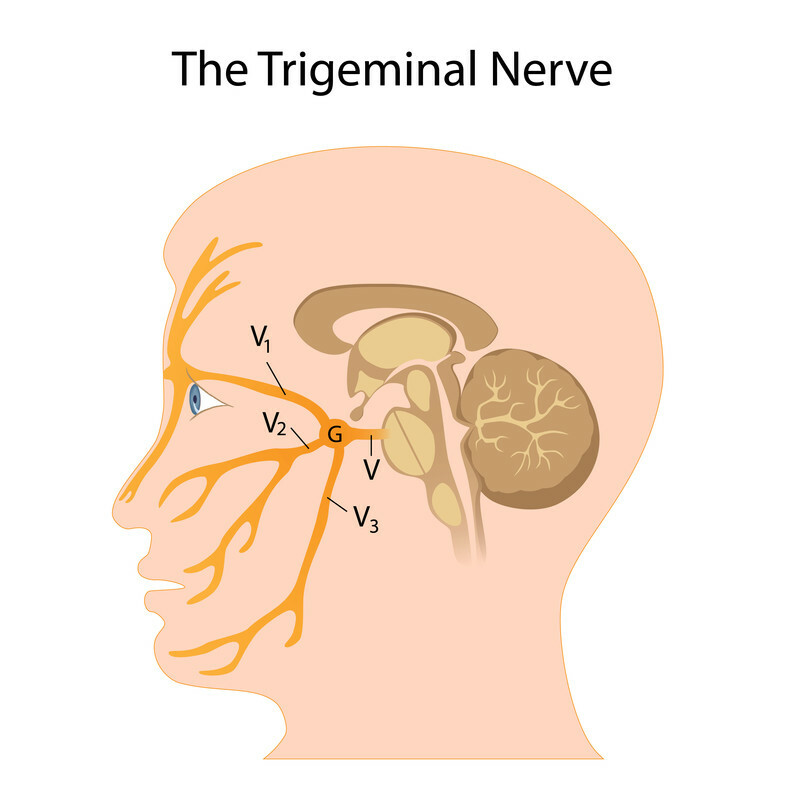 Using this idea, scientists have tried to identify lesions along the trigeminal nerve in people with trigeminal neuralgia that consistently set off the pain response. It’s been suspected that an artery near the brainstem can pulse and compress the trigeminal nerve roots. These pulsations explain why patients can feel waves of shock like pain, with brief moments of relief in between. 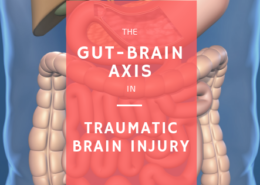 There is also evidence to suggest that inflammation or trauma in the brain or spinal cord can make the brain more sensitive to the pain response. This is known as central sensitization. It’s important to know this because knowing if the problem is from a peripheral lesion like an artery warrants a much different treatment than a condition where the pain is mediated from a central location. Most cases of true TN are resistant to anti-inflammatory medications. When anti-inflammatories fail, they are treated with anti-convulsant medications like Tegretol or Neurontin. These medications can be effective for some, many patients find the side effects (dizziness, brain fog, balance problems) of these medications to be intolerable. For patients with a peripheral lesion like artery or vein compression, there are surgical options. If patients have a confirmed compression of the trigeminal nerve roots by an artery, a surgery called micovascular decompression can be used to move the offending artery off of the nerve. The surgery has a very high success rate for a large number of TN cases, but it is also is a major surgery which requires cutting through the skull, and has risks that come with neurosurgical procedures. Other procedures like Gamma Knife radiation can be performed to damage the trigeminal nerve so that it does not transmit the pain signal to the brain. This procedure has been less effective than decompression, and also may require additional procedures. While these procedures can be great options for TN as a result of a displaced artery, it is unlikely to help those whose symptoms are not part of the peripheral nerve. Some forms of TN may be a brain related issue. Problems in the peripheral nerve structure are easy to understand. You have delicate nerve tissue that hates to be compressed and you have an offending structure that is rubbing or compressing the nerve roots. When you remove the offending structure, then the nerve problem goes away. In a way, a peripheral lesion is similar to the way that a herniated disc causes the pain from a pinched nerve. But what if you have this face pain but there’s no sign of a rogue artery pressing against the nerve? The problem may be with processing of pain rather than an offending lesion. While peripheral problems are easy to understand, central problems can seem more abstract. When the brain and spinal cord aren’t working properly, you can’t do a blood test or look at an MRI and definitively say “This is why you have pain in your face”. In order to test this idea, you often have to perform functional tests which test how your body feels different stimuli. 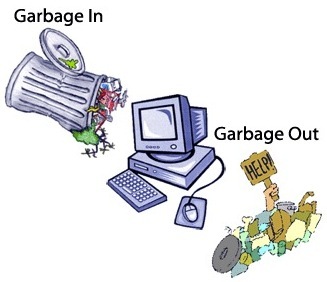 Central disruption is more of a problem of too much or too little. What I mean by that is that neurons in the brain can fire too often while other important nerves may not fire enough. When the firing of these nerves is out of balance, then the brain perceives things incorrectly. The pain pathways of the head and neck converge into an area of the spinal cord called the trigeminal cervical nucleus. So if you have a pain in the head, face, or neck, all of the pain sensing fibers are going to enter into this region which is found in the spinal cord around the level of the first 3 neck vertebrae. Our perception of pain is dictated by the multiple factors that include the current environment, memory of past pain, genetics, expectations, and our attention. 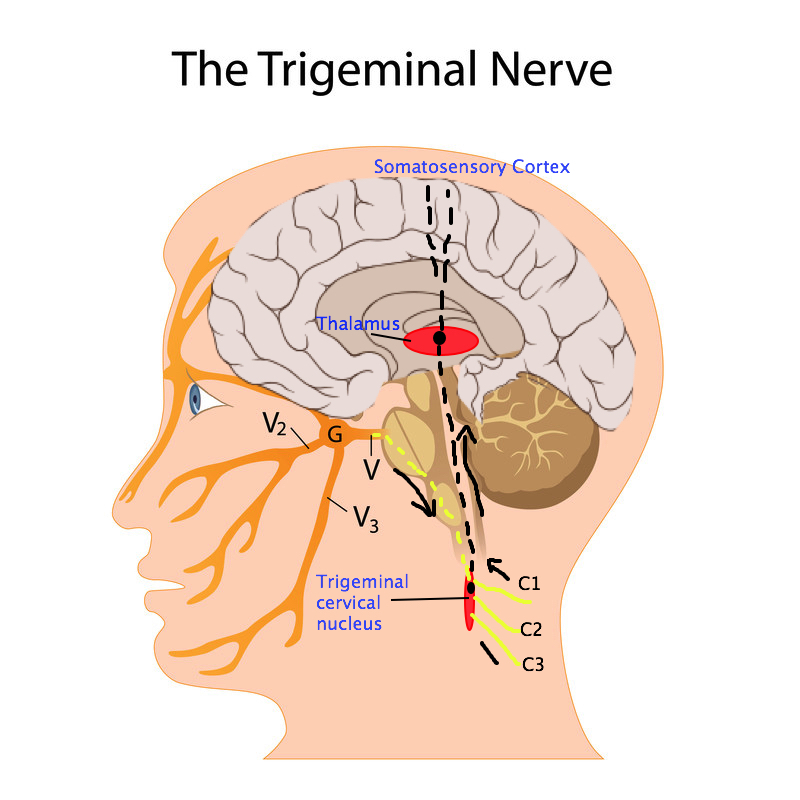 The trigeminal cervical nucleus, thalamus, and somatosensory cortex have a system determining if the brain should pay attention to a painful stimulus. This is what allows people to feel pain differently. That’s why our favorite athlete can ignore the pain of a broken leg in order to complete a task. It also allows us to perceive danger if we step on a nail in the dark. When this system malfunctions, then the trigeminal cervical nucleus is allowing too many pain signals to get through to the brain. When it allows every painful stimulus to get to the brain, then the brain is constantly bombarded with pain signals even if that signal is harmless. 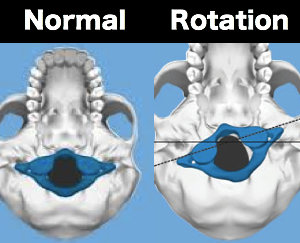 Symptoms of facial pain can be a result of too much firing from the trigeminal cervical nucleus. That’s what allows a cool breeze to the face, brushing your teeth, or scratching an itch on your face can be wrongly perceived as a painful stimulus that sends them cascading toward miserable facial pain. When it comes down to it; your brain is perceiving the environment incorrectly because it is letting too much pain stimuli through the pain gate. This is the cornerstone of the Gate Theory of Pain below. The good news about a central pain response is that your pain threshold can be changed by several factors as listed in the diagram. While we can’t change our genetics, we can change almost every other factor on that list. From a treatment perspective, there are numerous things we can do to change brain and spinal cord input so that pain output decreases. Chiropractors that focus on the upper neck have found a large amount of success in helping patients with trigeminal neuralgia and other facial pain syndromes. A quick search through chiropractic literature shows a dozen case studies detailing the improvements of patients with facial pain syndromes (including my own here if you want to read it link here). Obviously these are just case studies and can’t tell you much in themselves(I’ll save my rant on the politics of chiropractic research later. How is there not a formal study on trigeminal nerve issues and chiropractic by now? ), but there is a logical rationale that helps explain how the neck can affect facial pain and why 75% of our trigeminal neuralgia patients get substantial improvement. Brain input and spinal cord input play a big role in the sensation of pain. A big part of brain and spinal cord input comes from the top 3 nerves in the neck. When the head and neck shift, brain and spinal cord input get altered in ways that can impact the trigeminal cervical nucleus. In our office, we find that this is particularly common when the Atlas vertebra rotates or twists out of position. 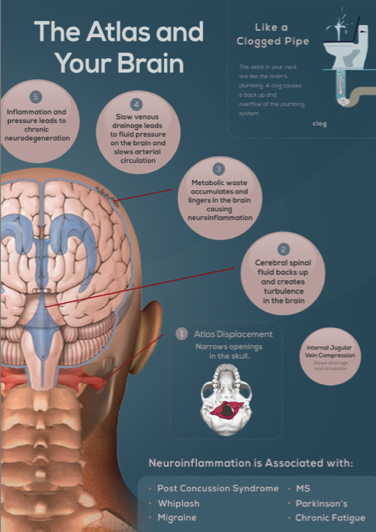 Compressive forces may occur along the vessels that can affect movement of spinal fluid and blood in the head. Aberrent input into the brain from asymmetry of spinal positioning leading to dominance of nociception (pain) into the brain. When the neck shifts in this manner, it doesn’t always cause trigeminal nerve issues, but it is tied to other problems like headaches, neck pain, cervicogenic vertigo, and more. It brings us back to a fundamental principle: upper cervical chiropractic is not about treating a specific condition. It’s about improving the function of the brain and nervous system. When we correct the structure of the neck, we are looking to decrease these damaging forces into the spinal cord and veins and improve the symmetry of firing into the brain. 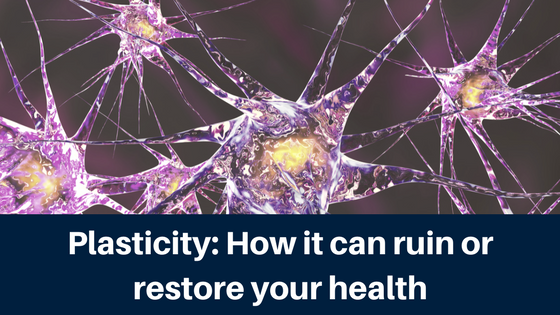 Because if we can play a role in making the brain more resilient, then it has the best chance to make itself resistant the the pain you may experience in your day to day life. Fibromyalgia Syndrome (FMS) and other conditions involving chronic pain are among the most frustrating conditions that affect a human being. While the condition is not life threatening, it is without a doubt life impairing. While the pain of a surgical procedure, broken bone, or acute disc injury can be more excruciating, the pain from those tissue injuries will tend to decrease over time. Pain from FMS is unique in the fact that there is frequently no injury to treat and the pain seems to have no expiration date. That patients must learn to live with the expectation that it may never go away. This can make you feel a sense of helplessness if you have been diagnosed with FMS. If you have fibromyalgia, it’s common for you to just feel run down, tired, and in agony but you don’t know why. This results in friends and family members feeling like you’re a hypochondriac, and often results in ostracizing the afflicted patient. Despite what many gurus, vitamin peddlers, and book sellers say, there is no cure for fibromyalgia. There are so many co-morbid illnesses tied with fibromyalgia that it has turned into a syndrome (FMS) as opposed to a single chronic pain entity. These symptoms include pain, brain fog, chronic fatigue, irritable bowel syndrome, and headaches. That is a wide variety of symptoms for one illness, and each have their own physiology behind it. From that stand point, it wouldn’t make sense to try to have a one treatment fits all strategy to a condition like FMS. Conventional treatment focuses on medications, progressive exercise, sleep disorder treatment, and psychotherapy to help control the pain of fibromyalgia. Exercise in particular has a strong track record for therapeutic benefit in FMS. 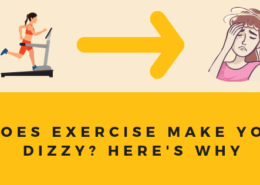 However, one of the things that I’ve seen after spending time hundreds of patients with fibromyalgia is that they find the mere thought of doing exercise to be overwhelming. Patients also find the idea of getting psychological therapy to be condescending to their condition despite the evidence that it is helpful. All of this makes an evidence-based approach to fibromyalgia syndrome to be extremely challenging at this point in time. The end result is that new, experimental, alternative, and potentially pseudoscientific methodologies become entrusted to improve the quality of life in patients with this condition. For decades, chiropractic and spinal manipulation has generally been lumped into this category. However, the growing amount of research is showing that manual procedures in the spine do have a real impact on the central nervous system. One study released last year tackled the fibromyalgia problem with some promising results. A clinical trial was published in the journal Rheumatology International. The authors looked at the addition of upper cervical spinal manipulation to a comprehensive fibromyalgia treatment regiment to see if it any effect on outcomes. The standard treatment for fibromyalgia includes cognitive behavioral therapy, light exercise recommendations, and pain education. This study compared standard treatment alone and compared it to when standard treatment included manipulation of the upper neck. The patients were treated for about 12 weeks and had a follow up appointment in a year. They measured changes in pain, sleep, anxiety, posture, and quality of life. Interestingly enough, the group that received upper cervical manipulation didn’t have a significantly better outcome than the standard treatment group after 12 weeks. Both groups improved in their symptoms, but there wasn’t much difference between the 2 groups. On a good note, the postural measurements of the upper cervical group did improve quite a bit. At a one year follow up, the upper cervical manipulation group continued to show better control of their pain, sleep, anxiety, and posture even though they stopped getting manipulations. On the other side, the control group actually started to regress towards their original scores. The study used a physical therapy technique called the Maitland Concepts. It’s not a chiropractic technique, but has elements of high velocity, low amplitude manipulation commonly found in chiropractic. The patients continued to get better even after they stopped getting manipulation. A common knock against manual techniques is that you need to keep getting adjustments in order to feel better. The multi-modal approach used in this study suggests that patients can continue to get better even after treatment is done. The authors showed that manipulating the neck created widespread changes in the patients’ posture measurements including the low back, shoulders, etc. They attribute this to the fact that the upper neck is a critical element to controlling the posture of the body. You all know my biases as a chiropractor that uses a niche technique. The truth is, I don’t care about what techniques I end up using, or whether the technique was created by a chiropractor, physical therapist, or a marine biologist. All that matters is that people get great outcomes! 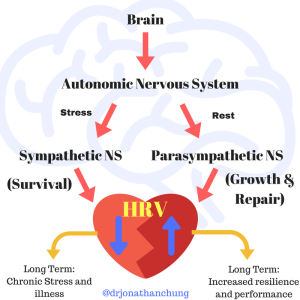 I love this study because it shows that changing the physical structure of the body can happen through the neck, and doing this can get people a great long term outcome from an illness that makes millions of people miserable.